It is always interesting to hear people downplay how effective signs are in terms of bringing in new clients or attracting new business. At Dave’s Signs, we work with companies of all sizes in Santa Barbara and surrounding areas. We can speak to the fact that business signage is still one of the most effective forms of advertising. To help explain the importance of quality, eye-catching signage for any type of business that is directly serving customers from their location, let’s look at consumer habits and the power of visual marketing. If you have ever gone to a new store, restaurant, nightspot, coffee shop or retail location, what is the first thing you noticed about the business? We are willing to bet it was a sign, either a sign above the door, a sign in the window or larger signs on the top of the building. 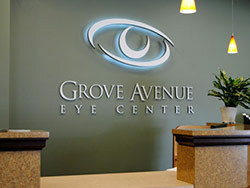 A sign is a visual welcome into a location. A dingy, dirty sign sends a very clear message that is going to drive some customers away. A well-designed, interesting and unique sign creates curiosity to find out what is inside. In these days of GPS and Google maps on the phone it may seem like customers will easily find your physical business from an online search. They will find the general directions however without a clear, vibrant and interesting sign they may not actually find their way to your door. This is particularly true if you are in a neighborhood with competing businesses with great signs. Your customer may find something in a sign that is more novel or that simply catches their eye and ends up resulting in a new customer for your competition. If you have a great sign, either a traditional sign or a neon sign that really highlights your business and your brand, it can actually become a marketing tool. It can be the cover photo on your Facebook page and also show as the image for your business on your search engine results. This is a perfect combination of a traditional sign and advertising through technology. It primes the customers to be looking for your iconic sign, creating a brand image. It also builds the curiosity you want and clearly highlights your Santa Barbara business with one simple marketing technique.